Although big ticket military contracts don't usually include what we'd call product warranties, the maker so numerous other products that help protect people and property do pay claims and maintain warranty reserves. What follows are snapshots of the past six years of warranty expenditures for four of the market leaders in their respective corners of the security marketplace. In its broadest sense, security equipment cuts across numerous industries, from aerospace to sporting goods. There are home security companies such as Tyco International, and there are automotive security manufacturers such as DEI Holdings Inc. The collection of manufacturers is so diverse that it's hard to think of it as an industry by itself. Rather, the manufacturers of security equipment are spread across these other identifiable industries, such as office equipment, aerospace, computers, telecom equipment, consumer electronics, and many others. We've never done a report on warranty in the security "industry," and we're not going to start now. Instead, what we're doing this week is providing snapshots of four top security companies, engaged in the respective realms of financial security, retail security, airport security, and personal security. Diebold Inc. is primarily engaged in the provision of financial security through its manufacture of safes, vaults, and automated teller machines, where the primary customers are banks. In Brazil, the company sells the machinery that operates the nation's lottery system. Its Premier Election Solutions Inc. subsidiary is engaged in the controversial area of touch-screen voting machine manufacturing, where the primary customers are county election agencies looking for replacements for their older mechanical voting systems. Diebold traces its founding back to 1859 in Cincinnati, when it began making vaults for banks and governments. During World War II the company manufactured armor plating for tanks. From 1944 to 1951, the "untouchable" Eliot Ness served as company chairman. One of its current contracts is to secure the U.S. Constitution, the Bill of Rights and the Declaration of Independence for the National Archives in Washington DC. The computerized touch-screen voting machine business has subject the company to intense levels of negative publicity, including lawsuits filed in its home state of Ohio, over allegations that the units were not properly counting votes. The company has also been criticized for insisting upon the purchase of expensive service contracts to keep the machines in working order once the warranties expired. That business segment is now in decline as a result, and the subsidiary is up for sale. For most of the past 18 months, Diebold has failed to file its financial statements on time with the U.S. Securities and Exchange Commission, as the parties engaged in a controversy over revenue recognition methods. So most of the data going back to the second quarter of 2007 in the charts below is relatively new and was previously unavailable. One can readily see from the data in Figure 1 that the company has seen almost four years of rising claims and accrual rates, although in recent quarters those rates have dropped back down to levels seen in 2003 and 2004. For the first nine months of 2008, claims increased from $21 million to $24 million, while accruals jumped from $20 million to $39 million. Because of increasing hardware sales, the claims rate was marginally lower in September 2008 compared to a year previously. The accrual rate was up by almost two-thirds, however, from 2.1% to 3.4%. In last week's newsletter we provided snapshots of the warranty reserve balance and translated those balances into a capacity to pay, calculated by dividing the amount of claims paid per month into the ending balance in the reserve. This week, for the four profiled security equipment companies, we're providing snapshots of both the claims and accruals and the warranty reserve. In Figure 2, it's obvious that Diebold's warranty reserve has expanded considerably in the past year, rising from $21.9 million in September 2007 to $41.4 million in September 2008. This 89% increase in funds accompanies a 74% increase in capacity, given that the balance a year ago was equal to just over nine months of claims and had grown to 16 months of claims in the most recent quarter. but while that capacity figure has been growing for the past six quarters, it was considerably higher at points during 2005 and 2006. 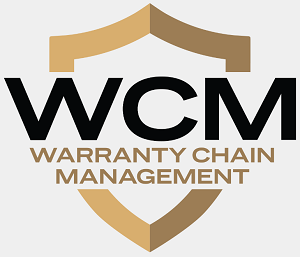 Checkpoint Systems Inc. is best known for its retail security systems, preventing shoplifting or what is now so euphemistically known as shrink management. Those clothing tags that set off the buzzers as one exits the shop? Probably Checkpoint Systems' radio frequency electronic article surveillance systems interacting with an antenna placed near the exit. Retail sales may be shrinking, but shrink management is still expanding rapidly. Checkpoint's hardware sales were up 30% to $412 million for the first nine months of 2008, though overall revenue (including services and consumables) grew at a somewhat slower 19% pace. Claims and accruals have fallen slightly this year in terms of dollars, which because of the sales increase translates into a healthy drop for both the claims and accrual rates, measured in percentages. In Figure 3 below, the latest claims rate is 1.0%, down from 1.4% a year ago, while the latest accrual rate is 1.2%, down from 1.6% a year ago. Both rates are therefore down by more than a quarter in the past year, ending what looks to have been a nine-month rate peak in late 2007 and early 2008. Warranty reserves have grown slowly, exceeding $6 million for the first time a year ago and surpassing $9 million at the end of the second quarter of 2008. Warranty reserve capacity has for the past three years remained within a range equal to 10 to 25 months' worth of claims paid, but for two years before that they were much higher. To chart that range, we had to use a logarithmic scale, because at the end of 2003 the company was holding reserves equal to 13 years of claims! Here's where the value of back-to-back snapshots becomes apparent. Notice how the low rate period of Figure 3 coincides almost exactly with the high rate period of Figure 4. And then notice how once the warranty costs rise in Figure 3, the capacity levels in Figure 4 fall and stabilize at a more sensible rate. One can almost plot the moment when Checkpoint's warranty operations became mature and serious, once the actual costs were known and the future projections were adjusted. What we're seeing in 2008 may be a fine tuning of those adjustments, and a stabilization of the company's warranty costs. Back in the days when computers didn't work together, the Open Systems Interconnect model, or OSI, provided a roadmap for data networking. OSI Systems Inc. has nothing to do with that. Instead, the company has operations in three distinct areas: baggage and cargo screening, cardiology and anesthesia equipment, and optoelectronics, using brand names such as Rapiscan Systems, Spacelabs Healthcare, and OSI Optoelectronics. In the past 15 years, Rapiscan Systems has installed over 70,000 security systems in more than 100 countries. Applications include baggage and parcel inspection systems and metal detectors, automated explosive detection systems, air cargo screening solutions, and container inspection systems. In a perhaps sad reflection on the state of the world, business has been very good lately. The security division's sales were up 38% in the fiscal year ended in June 2007 and were up a further 21% in fiscal 2008. Warranty expenses, which we've converted into quarters corresponding to the calendar, have for the past few years remained within a range of 0.5% to 1.5% of the company's total revenue. As can be seen in Figure 5, the trend has generally been in a downward, if bumpy, direction. In four of the past five quarters, accruals have outstripped claims, as if the company has been expecting the latter rate to rise in the future. This scenario is somewhat confirmed in Figure 6, where again we had to use a logarithmic scale to flatten out the variations somewhat. While in 2003 to 2006 the company was content to maintain a capacity to pay claims in the range of 10 to 20 months, in 2007 it allowed that capacity to spike up to more than 12 years. That corresponded, however, to a quarter in which it paid only $149,000 in claims, so it could have been nothing more than a fiscal year-end mathematical anomaly. But still, all through the rest of calendar 2007 and 2008, the company has kept its reserves closer to the 36-month level, again as if it was expecting payouts to increase in the future. Finally, let's take a look at perhaps one of the most famous brand names in personal security, Smith & Wesson, the largest U.S.-based manufacturer of handguns. Horace Smith and Daniel B. Wesson formed their first pistol-making partnership in 1852 in Connecticut. They formed their second partnership a few years later, after selling off the first to another famous gunsmith, Oliver Winchester. One of the second venture's big initial contracts was to supply repeating revolvers to the U.S. Cavalry for use in the Wild West. And a legend was born. In Figures 7 and 8, we have only six years of data, so it's unknown what warranty costs were like for that first 150 years. But since 2003, at least, it appears that warranty costs have been slowly declining as sales have slowly grown. The company paid out $1.5 million in claims during the nine months between November 2006 and July 2007, and $1.4 million in claims in the same period so far this year. With a slight gain in gun sales, the claims and accrual rates showed a slight decline. The first six quarters of data are estimates because at the time the company was reporting only its annual data for the fiscal years ended April 30, 2003 and 2004. All other data is quarterly, with, for instance, the third calendar quarter corresponding to the company's reports for the months of May, June and July. In terms of warranty reserves, Smith & Wesson has allowed its capacity to pay claims to oscillate around a year, which corresponds to its product warranties quite comfortably. The balance itself has grown from $1.36 million in early 2003 to $2.0 million in the most recent quarter, growing, falling, and then growing again. There are numerous other manufacturing companies engaged in some aspect of the security market. Most obvious are the military contractors, but for the most part they get the customer to pay for maintenance and service contracts rather than providing product guarantees free of charge. For instance, Lockheed Martin, with $41.9 million in revenue last year, reported not a dime of warranty accruals. United Technologies, Boeing, Textron, General Dynamics, Raytheon, Rockwell Collins, ITT, Curtiss-Wright, and Northrop Grumman did report upon their warranties, but those expenses arose primarily from their respective civilian operations. And we cover most of those companies under the aerospace heading. There are also numerous manufacturers of military, police, fire, and other emergency vehicles, which we track under the automotive heading. At the time of our November 13 newsletter on the top automotive OEMs, however, Oshkosh Corp. had not yet filed its annual report with the SEC. They have now done so, and it shows that the maker of civilian fire and garbage trucks as well as armored military vehicles saw a slight rise in its claims rate from 0.8% to 0.9% and a slight rise in its accrual rate from 0.9% to 1.0%. Warranty reserves, meanwhile, remained largely the same at $88 million, though its capacity to pay claims fell from 24 months to 15 months. Altogether, we track some 53 security equipment manufacturers spread across at least 13 different industries. So far in 2008, they've reported $1.2 billion in claims paid, up appreciably from $1.0 billion in the first nine months of 2007. But most of that came from non-security-related product lines, so it's impossible to attribute any of those increases to any specific trends in security equipment. NEW Customer Service Cos. to hire 480 people at call center in Altoona PA.
Federal Trade Commission's telemarketing call opt-out rule took effect Dec. 1. GM president says precarious situation may deteriorate more as doubts persist about federal aid. MIT professor says Chapter 11 filing by an automaker would inevitably lead to liquidation. Gartner advises IT departments not to invest in extended warranties. Auto manufacturer uses business intelligence system to save $60 million on warranty costs. Chrysler says it reduced warranty costs by 29% since going private in 2007. American Home Shield accelerates heating fix after local TV station makes inquiries. Reports continue that Tweeter sold extended warranties after its ex-administrator said to stop. Circuit City struggles to explain to customers that bankruptcy isn't liquidation. Extended warranties from third parties are usually not affected by a retailer's liquidation. NJ Assemblyman Paul D. Moriarty discusses his "Consumer Electronics Warranty Lemon Law." GE Money and GMAC Finance pull out of Australian auto market, causing dealerships to shutter. Farm equipment groups working on Web-based warranty claim system for Jan. 2009 launch. Corsair Memory launches Professional Series of power supply units with 7-year warranties. 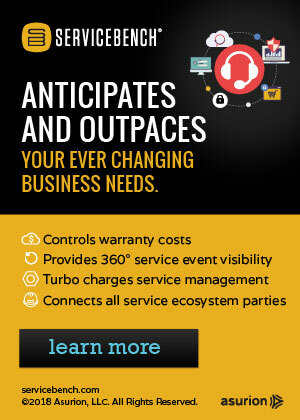 McCusker & Co. and Subtotal to sell extended warranties to Quick Service Restaurants. AB Insurance Cyprus Agency Ltd. and AutoProtect introduce used car warranties to Cyprus. New Michelangelo book has €100,000 pricetag and a 500-year warranty. Penske Truck Leasing, National Truck Protection & netLoan Funding offer extended warranties. Business customers complain about IT vendors overpromising warranty services in India. Zale Corp. reports a net loss and declining extended warranty sales. GM CEO cites finding that 80% of customers would not buy a vehicle from a bankrupt automaker. For Detroit, Chapter 11 would be the final chapter, with liquidations to follow bankruptcy. Consumer Reports says consumer interest in extended warranties fell 20% following its campaign. Greenpeace Guide to Greener Electronics ranks Nokia, Sony Ericsson, Toshiba & Samsung highest. Harmonix calls Rock Band drum pedal lawsuit "opportunistic and baseless." Internet Security Suite Plus 2009 identity theft protection plans administered by WaCA. Headlines about bankruptcy effects may already be scaring away auto buyers. Could the U.S. government underwrite automakers' warranties to reduce uncertainty? Chevrolet-Cadillac dealer says GMAC will now pay for warranty services on a monthly basis. Attorneys General urge the Federal Trade Commission to strengthen its "Used Car Rule." Rock Band drum pedals draw lawsuit alleging design defect and criticism of warranty expansion. Satellite Protection Services Ltd. put into compulsory liquidation by UK's Insolvency Service. Dell names Ganesh Lakshminarayanan new Vice President of Global Consumer Services and Support. Consumer Reports survey finds 35% may buy an extended warranty, down from last two years. Survey finds fear of breakdowns and meager product warranties drive extended warranty sales. Research in Motion president criticizes SquareTrade's research methodology. GM spokesman says Chevrolet Volt battery production is on schedule and going smoothly. Nissan executive says 2010 GT-R won't have launch control due to "warranty nightmare" it caused. Lemonaidcars.com web site reveals "secret" service bulletins and warranty extensions. Tweeter allegedly sold extended warranties after former administrator told them to stop. ServicePower signs P&F USA, Philips, Hitachi, Yamaha, Bankers Warranty Group, and Bristol West. McCusker & Company to supply extended warranty programs to Coastal Video Security. Honeywell's Storm-A-Rest hurricane-resistant curtains get Popular Science award. Daimler AG joins the Automotive Industry Action Group. How MPC declined into bankruptcy after acquiring Gateways professional computing business. Schools report repair problems and late shipments of laptops after MPC files for bankruptcy. Prepare for cold comfort if you reject boiler insurance. Columnist helps buyers whose breakdowns came too late for their warranties. Alanco Technologies says it was hit by unusually high warranty expense in the first quarter. Impact Systems to provide warranty work for bankrupt Optima Technology Solutions. Lenovo launches extended warranty packages in the Middle East. WGBH-TV alleges Broadway National and Mark IV Industries failed to honor TV screen warranties. Warranty on new sidewalks would be voided if business owners use salt to melt ice. Lint buildup makes editor's iPhone inoperable, as he discovers after taking it apart. AIAG OESA Guideline contains suggested best practices for managing warranty. Circuit City Advantage Protection Plan to continue despite retailer's bankruptcy. The Warranty Group wins awards from the Association of Marketing and Communication Professionals. NEW Customer Service Cos. to employ 160 in work-at-home Carbondale IL call center for DirecTV.